Infinite Sky Rank: #53 on the Top 100 Free iPhone Apps List as of July 18th For: iPhone, iPod touch, iPad You may have heard of the arcade version of this game, which is the most popular arcade game in the U.S. and UK, but we're not sure whether its arcade popularity translates into the app version. Only 3G users can currently play this game but future updates with more availability are reported to be on the way. 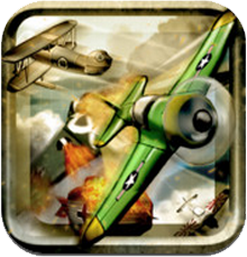 The crux of the game is that you are hired to the skies to defend against all enemy onslaughts. 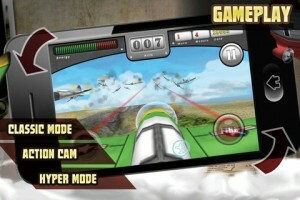 Choose from four fighter planes and get ready for some fearsome dogfights. As you progress you collect coins which you then use to upgrade and reinforce your plane, while you increase your rank. 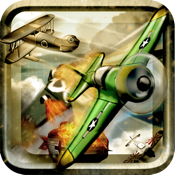 Features include over 100 missions and four planes from which to choose, unless you opt for the single in-app purchase of $0.99 which buys you 10,000 coins and an additional plane choice. The app is integrated with Twitter and Facebook, so your friends will see all your latest advances if that’s their thing. The latest 1.0.2 version includes two new control schemes, two different ways to view play (through speed or the person), a reported faster loading time by up to 80%, and now your enemy blinks when hit. On the negative side, as you will most likely read if you visit the app on iTunes, you will see that sometimes when a user hits play, the app just takes them to a white screen! This is something the developer’s state they are working on. The graphics are said not be great, putting it politely, but then again these are subjective views. Graphics on alternative app games are simply outstanding, so this is a competitive niche, to say the least.